In Utah there are basically two different types of divorce options. You will either have a contested divorce or a uncontested divorce. This page will give some basic information on both and go through the general process of each. Just keep in mind that this is general information. For the best guidance and help with your divorce please contact our office and set up a consultation to speak with one of our attorneys. With either divorce there is a 90-day waiting period from the time the divorce is filed until it will be finalized and granted in every Utah divorce. There are a few situations where the courts will waive the 90-day waiting period. A contested divorce is the most common divorce and is more messy and complicated than a uncontested divorce. They can almost seem like a civil law suit. 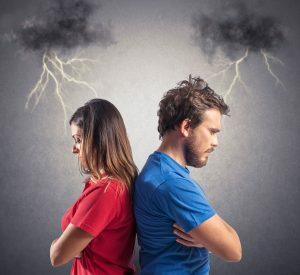 A contested divorce is where one or both of the spouse disagree with some aspect of the divorce such as asset and property division, marital debt ownership, or even the actual divorce itself. Contested divorces are a lengthier and more costly process and can even result in going to trial if the couple can’t work through their issues. Motion for Temporary Order Hearing if applicable- In this hearing you will have things ordered that need to be immediate but temporary until the divorce is finalized, the issue is settled in court, or through mediation. These include issues surrounding: living arrangements, bank accounts, assets, child visitation, child support, and alimony. Both spouses attend Divorce Certification Class- If there are minor children both spouses will also need to attend additional education classes. An uncontested divorce is the smoothest and best type of divorce to have. 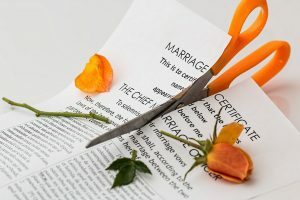 These divorces happen when both parties can 100% agree on all aspects of their divorce, such as property division, marital debt ownership, and child custody. If the couples can agree they can file the papers themselves. This process can save the couple a lot of stress and extra costs. Although the divorce still has to be approved by the courts and signed by a judge, there will be no formal hearing at the court house. -If they are served and sign for the Divorce Petition and do not file an answer you can ask for a default judgement. If you have any questions about your divorce or need a dedicated attorney to represent you in a messy contested divorce please call our office- (801) 436-5757 -right away! Time is of the essence in a divorce. Don’t let your rights slip away!